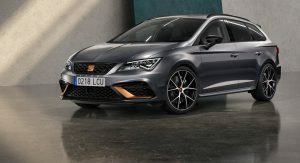 Order books for the new Leon Cupra R ST in the United Kingdom will open on April 9, and the asking price for the limited edition model is £37,975 ($49,901/€44,259). 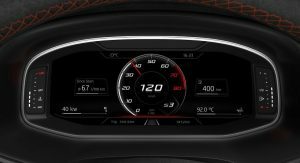 For only £500 ($657/€583) more, customers can have an ABT tuning pack, which lifts the output from 300 PS (296 hp / 221 kW) to 370 PS (365 hp / 272 kW), reduces the 0-100 km/h (0-62 mph) by 0.4 seconds to 4.5 seconds. 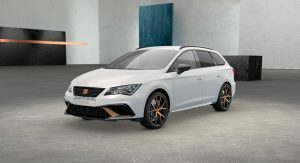 Only 150 units of the sporty compact estate will be available in the UK. 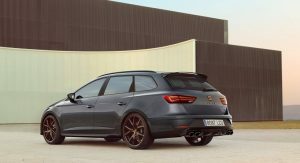 The sporty estate is powered by a 2.0-liter turbocharged four-cylinder linked to a 7-speed DSG transmission and all-wheel drive, and feature Brembo brakes and quad exhaust pipes. 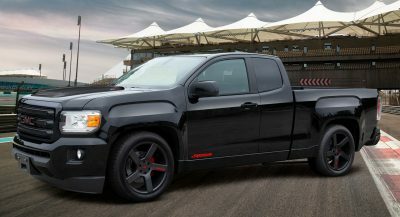 Its exterior looks are enhanced by the addition of newly developed lateral air intakes, carbon fiber front splitter, side skirts, rear spoiler and diffuser. 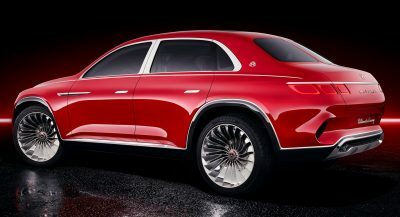 There are also copper accents contrasting the Magnetic Tech, Midnight Black, Nevada White or Blackness Grey paint, and 19-inch alloy wheels. 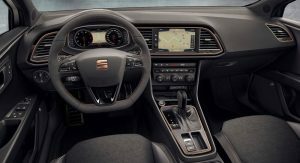 Inside, the new Leon Cupra R ST has a couple of sports seats at the front, Alcantara-upholstered steering wheel and gear knob, copper accents and stitching, carbon fiber look on the interior lining of the doors and illuminated aluminum sill plaques. 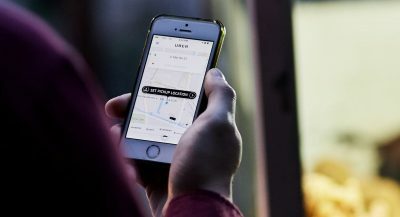 Moreover, panoramic sunroof is also standard, along with infotainment system, digital instrument cluster, keyless entry, and front and rear view cameras.